Whether the character is Indiana Jones, Tintin, Robert Langdon or a group of children (famous, secret, wizard or otherwise), each generation of reader has its fictional adventuring heroes. These characters, through accident or circumstance, see themselves thrown into dangerous situations and are required to solve mysteries unveiling great conspiracies. It is important to have these seemingly impervious characters in our lives because as a species we are obsessed with danger, and through these heroes we can vicariously live out a more daring and unpredictable life where literally anything can happen. The dangers however in creating such a character are when the author relies too much upon clichés or throws too much “adventure” at the reader at the detriment of narrative depth. 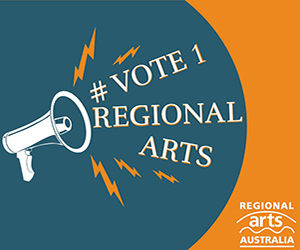 This being said, it is with both great relish and hesitation to witness a new adventure character come to life, and in addition an Australian character that can help to fill this neglected niche in Australian fiction. Written by Melbourne-based Gabriel Bergmoser, whose credits include the 2015 Beatles-themed comedy We Can Work It Out and the 2015 Sir Peter Ustinov Television Scriptwriting Award for his screenplay based on Windmills, Boone Shepard is the first of a series of young adult adventure novels based on the namesake character. Bergmoser focusses his witty narrative to create Boone Shepard, an investigative journalist, ex-pat Australian and daring adventurer who carries himself with a stylish, yet arrogant and sharp-tongued flair. The story begins in 1965 and follows Shepard’s adventures as he goes to any end to obtain the bestselling news story, while also attempting to destroy the existence of a “terrible book”. While Shephard’s adventures begin in a rather clunky fashion, a stylish rhythm develops that hopefully will continue in the next book of the series An American Adventure. Knowing already that this book is the first part of a series, perhaps more effort could have been made detailing some of Shepard’s adventures and building characters in the same manner and treatment others are given. Although care was given to create strong female roles in this book, more depth is required to create the potentially enigmatic but in reality somewhat stunted character Marbier. It was also unfortunate that the reveal of one of the main antagonists, rather than being a surprise, was more an ever so slight eye roll. Other characters were touched upon in a seductive way, such as during the Damien White/Dorian Gray arc that included a well-known and influential character renowned for his exuberant personality. He could have easily comprised a larger portion of the storyline, and it is hoped he is revisited in more detail through future storylines, as well as the intriguing Promethia who was played well to balance Shepard and aided the reader to delve into his psyche. The whole concept of reimaging history through fiction is not new, but Bergmoser was able to incorporate such elements without delving into cliché scenarios, and hopefully will enable young adult readers today to discover more about our rich literary past. Boone Shepard certainly contains a lot of adventure for such a small book but overall is a very enjoyable and fun read for readers young and old(er). Australia may have just found its new adventurer and his name is Boone Shepard. 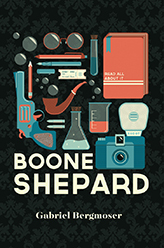 Boone Shepard is published by Bell Frog Books. For more information, visit: www.bellfrogbooks.com for details, or checkout our recent On the Couch with Gabriel Bergmoser.